Modern IT demands more out of containers. 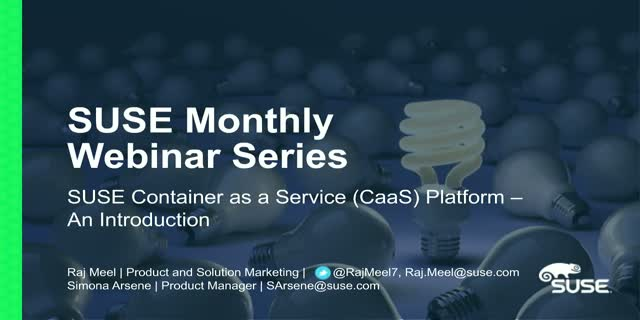 SUSE is creating an easy to use platform solution that helps you deliver container as a service with ease. This session will focus on MicroOS – one of the key technologies involved in creating the solution.